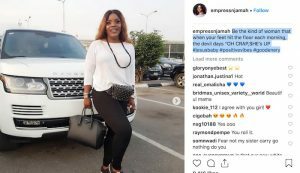 Nollywood Actress, Empress Njamah and Timaya have been in the news recently after the singer shade the actress during an interview with Daddy Freeze in his mansion. Recall that Timaya had called her out; bragging that he is bigger and better than her since their split and he also, revealed how he had to forcefully visit her Church to collect the car he gifted her. 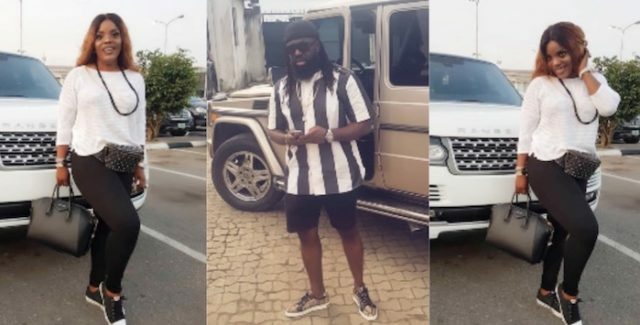 Empress, the owner of a fashion store in Abuja, has thrown shades at Timaya for the second time as she shows the ride she got for herself.